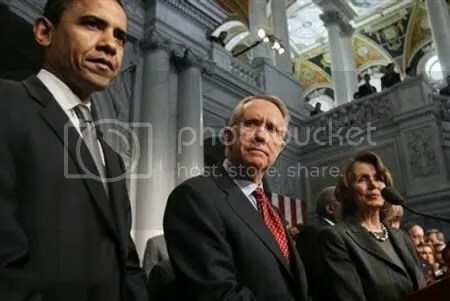 Talking Points Tuesdays – Barry got his Swagger..
After a year-long battle of pushing Health Care Reform (HCR) and taking all the bumps and bruises being dished out by the Republican Party. On January 19th it seemed as if all the Hope and Change promised by President Barack Obama was all but lost, on this day Scott Brown (a Republican) won the special election in Massachusetts. How could this happen? How could Democrats lose the seat once owned by Teddy Kennedy? With that loss the Democrats lost their Super Majority and seemingly lost the political weight they had. Republicans celebrated, Democrats pointed fingers at each other and pundits talked about HCR being dead and Democrats having to find their course once again. That night the country supposedly spoke and the country was telling the Democrats Fall Back! I remember sitting there thinking this is the President’s moment and he needs to step-in and take control of the Democratic Party and right the course. The next day President Obama stepped up and set a new course for his administration, he made it known immediately he was not giving up on HCR. Obama went against many of his advisors and decided to take the Republicans head on concerning HCR. He attended the House Republicans retreat and successfully challenged their mis-information campaign. As Republicans continued to ride the coat-tails of Scott Brown’s victory, the President pushed forward hitting the streets talking straight to the people. Not from the White House but in the people’s backyards, holding rallies reminiscent of the campaign trail. Slowly but surely Obama started to regain that energy wave he rode into the White House; but that wasn’t enough. The President needed another stage to show he would not back down in the face of the Republicans; that stage would be the HCR Summit at Blair House. In a room full of Democrats and Republicans Obama was able to dictate the flow and impose his will. 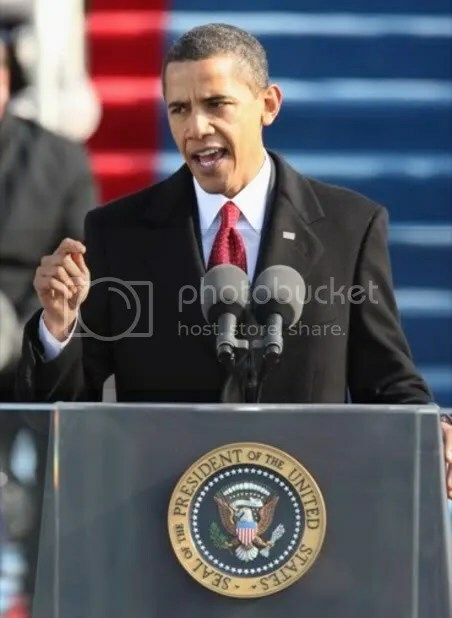 At the HCR Summit Obama displayed the power of the presidency; in a very subtly way the President referred to each Senator and Representative (Democrat and Republican) by their first names; John (McCain), Mitch (McConnell), John (Boehner) etc…. Meanwhile each Senator and Representative referred to Obama as Mr. President. Again, this was very subtle but very critical in making sure everyone knew who was in charge. Obama walked away from the HCR Summit with another win while acknowledging there were very good ideas by Republicans and they would be incorporated in his HCR bill. At this point the rest is history as HCR passed and is now law and the President is back on his grind!!!! Since the HCR Summit the party of “NO” aka Republicans have seen some in their party vote in favor of bills supported by the President. It wasn’t that long ago when that would have never happened, for example some Republicans supported a Jobs Bill (including Scott Brown). When the HCR bill passed the House Republicans vowed to derail the Reconciliation process in the Senate, no matter how long it took. Well, Republicans only lasted a couple of days and folded as the HCR fixes were signed into law. Where is Boehner’s aka “Tan Man” tough talk??? Well now it looks like President Obama’s iPod is bumping “Swagga Like Us”. Barack aka Barry got his Swagger back!! You know I remember Tavis Smiley saying something very interesting during a book signing. He said, “You can’t govern like you campaign….”. Meaning, when on the campaign trail you’re trying to please everyone and win a popularity contest. When you govern there are times when you will not be popular and you have to be ok with that. It seems as if the President has learned that in the start of his 2nd year. We should see lessons learned from the HCR debate as the President looks to push Regulatory Reform through. The President will look for Republican support but if it is not there he will not wait, he has momentum on his side and he cannot give it up. WTF/WTH Wednesdays – Wake Up GOP!! !